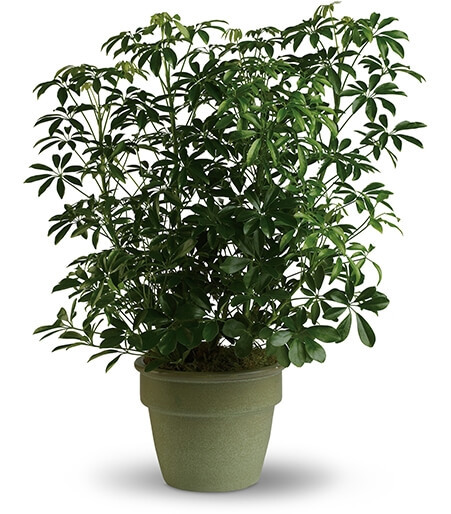 Also known as the umbrella plant due to its lovely arching leafy branches, this is an amazing gift. It can last for years and lend its graceful beauty to any home or office. Standing almost three feet tall in its olive green ceramic planter, this arboricola is a natural. Color and style of container may vary.